A native of Birmingham, England, Paul began his playing career with Aston Villa in the English Premier League. He came to the United States in 1972 to play for the Atlanta Chiefs in the North American soccer league. He played in the NASL for nine years with three teams and finished as the league’s second all­ time leading scorer. He was the league’s MVP in 1994. Paul came to Pittsburgh to play for the Spirits in the Major Indoor Soccer League. He finished as the team’s leading goal scorer (197) and second in total points (294). 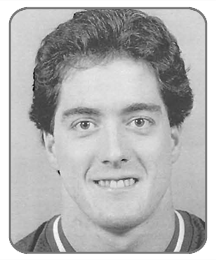 He was an MISL All­ Star in 1983 and 1985.He also played professionally for Los Angeles, Baltimore, and Hershey. He is a resident of Pittsburgh and very active in the Pittsburgh soccer community. A two-sport star at Duquesne High School, John was a three-year starter and captain of the football team his senior season. After graduating from Youngstown State University and Kent State his athletic endeavors led to an unmatched career in college basketball officiating. John has worked in 25 NCAA Tournaments which includes a record 12 Division I Final Four appearances and four Division I Championship Games (1985, 1988, 1989, and 1996). He also officiated the NIT Final in 1989 the year he won the James Naismith Award for college officiating. In addition to college ball, John has also worked several World Championship Games. He has received the Youngstown State University Illustrious Alumni Award, been inducted into the Youngstown Curbstone Coaches Hall of Fame, and, in 2002, the NCHSAA Hall of Champions. Gene is a graduate of McKeesport High School and the University of Maryland where he was an outstanding basketball player. He captained McKeesport’s WPIAL and State Championship Team in 1955 and was a starter on the 1954 WPIAL Runner-up team. He was named AII-WPIAL First Team in 1954 and 1955 and Pennsylvania All-state First Team in 1955. 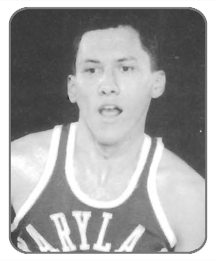 He was also named Section Most-Valuable Player in 1954 and 1955. At McKeesport he also lettered in track, volleyball, and football. He went on to Maryland where, in 1958, he played on the ACC Championship and nation’s 4th ranked team. He was named co-captain his senior year and garnered ACC Academic Honor Roll Honors for three years. He was a fifth-round draft choice of the Philadelphia Warriors in 1959. He passed to enter medical school graduating from the University of Pittsburgh Medical School in 1963. Arguably one of the finest volleyball players to come out of Penn Hills High School and Western Pennsylvania, Salima was a four-year starter on the volleyball team and garnered All-state honors three years. She was the “sixth man” on the WPIAL and PIAA Girls Basketball Championship Team in 1990. She went on to be a four-year starter and team captain at Penn State University where she was a three-time All-American. At Penn State, Salima was also a four-time All Big-10 Conference, four-time All-East, and two-time All Tournament NCAA Final Four selection. She was a member of the U.S. National Volleyball Team from 1995-1999 and was an alternate on the U.S. Olympic Team in 1996 in Atlanta. In 1998, she was named the Most Valuable Setter in the World. 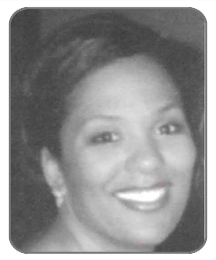 She is a member of the Pennsylvania Coaches Volleyball Hall of Fame and the Penn Hills Sports Hall of Fame. Kirk is a graduate of Upper Saint Clair High School and the University of Connecticut. He was the team captain at both schools and an Academic All ­Yankee Conference Linebacker in college. After coaching a year at Connecticut he became the defensive coordinator at Worchester Academy. He was a graduate assistant at Pitt in 1980 and then began a nine-year career as an assistant at the University of Iowa. 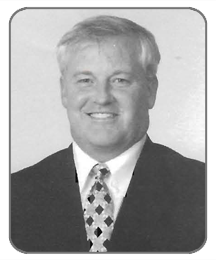 In 1990 he became the head coach at the University of Maine and from 1993-1999 Kirk was offensive line coach and Assistant Head Coach of the Cleveland Browns/Baltimore Ravens. 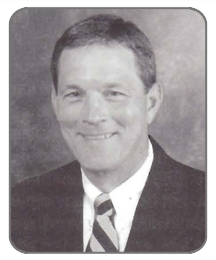 In 1998 he became the 25th Head Coach of the University of Iowa. He turned the Maine program around in three seasons and Iowa, at 12-2 in 2002, his team was Big 10 Champions, played in the Orange Bowl and Kirk was named the Big Ten and AP Coach of the Year. Tom was a three-sport star at Penn Hills High School playing on three WPIAL Football Championship teams and was the starting quarterback and safety on two of them. He was named to the Post Gazette Fabulous 22 and played in the Big 33 Game. Tom was a four-year starter at safety at the University of Pittsburgh, playing in four bowl games on teams ranked each year in the top 10. He is still the all-time leader in punt return yardage with 983 yards. After playing in the East-West Shrine Game and Senior Bowl, he was a fifth round draft choice of the Green Bay Packers in 1984. Tom played in the NFL for five seasons, two with Green Bay and three with the New York Giants, garnering NFC Rookie of the Year Honors and leading the conference in interceptions in 1984. John wears many hats: club founder, coach, race director, runner, and sports writer. He founded the Greater Pittsburgh Road Runners Club and the Western Pennsylvania Track Club more than twenty years ago and both clubs continue to thrive. 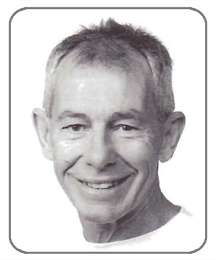 John coached cross country and track for twenty five years on the high school, club, and college levels, and this summer… forthe 35th year… will direct his gold Medal Camp for distance runners. 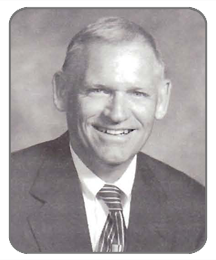 He has directed countless cross country meets, road races, and track meets in western Pennsylvania. John ran his first track meet in 1948 as a schoolboy, and he continues to compete in track and long distance running. He edits West Penn’s monthly newsletter and covers Pittsburgh races for the Runner’s Gazette. A two-sport star at Bentleyville High School, Val went on to play football at Duquesne University (starring on the undefeated 1941 team), Villanova, and the United States Navy while in the service. 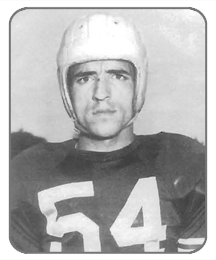 He was drafted by the Pittsburgh Steelers in 1944 but did not join the team until 1946. He immediately became a two-way starter and led the team in receptions in each of his five seasons, setting all the receiving records for a team led by conservative coaches; Sutherland and Michelosen. 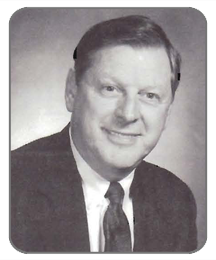 After retirement, Val taught and coached in the Mon-Valley until 1982. He has been inducted into the Duquesne University Hall of Fame, the Pittsburgh Sports Hall of Fame, and named one of the all-time great Steelers. Other honors include induction into the Washington County and Mid-Mon Valley Sport Halls of Fame. After graduating from Mt. Lebanon High School in 1974, Rich went to Carnegie Mellon University and has never left. As a player, he was twice named an Academic All-American, was the PAC Defensive Player of the year in 1976, All ­District, and a Dapper Dan Award Winner in 1978. Upon graduation he elected to remain at CMU as an assistant coach from 1979 to 1985. In 1986 he was named Head Coach where he remains to this day. His record at CMU is a stellar 121 wins, 46 losses, and 2 ties. They have garnered 7 UAA and one PAC Championships. He has been named the UAA Coach of the year 7 times. Stan graduated from Mayfield Heights High School in Cleveland and Miami of Ohio University. He played high school football, basketball, baseball, and track and still fancies himself as a tennis and racquetball player. Stan discovered at an early age his talent was not the playing of the games but rather his ability to eloquently describe how the game was being played by the athletes in the arena and then the endless talking about how in fact they should have or could have been played. His talents brought him to Pittsburgh, where he has become a fixture in sports broadcasting and talk radio. He was elected to his High School Hall of Fame in 1991 and the Jewish Sports Hall of Fame in 1995. 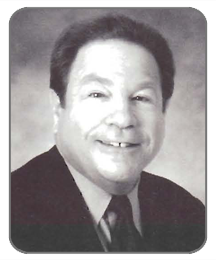 Stan won the Bob Prince Award in 1992 and has been the recipient of two Golden Quill Awards. A graduate of McKeesport High School and Wichita State University, Lanny is regarded as one of the finest two sport athletes to ever participate at both schools. He was a member of the 1955 McKeesport State Championship team and went on to gain All-Missouri Valley Conference recognition in baseball and basketball for two years and All-American honors at Wichita State. Known for buzzer beaters, he hit one against two-time national champion Cincinnati to end their 37 game winning streak. He was drafted in the third round by the Syracuse Nationals (now 76ers) of the NBA but opted for a professional career in the New York Yankees organization. He assisted Basketball Hall of Fame coach Ralph Miller with numerous NCAA Tournament teams at Wichita State, Iowa, and Oregon State over his 30 year college coaching tenure. Lanny was the Head Coach at Arkansas from 1971-1975. He has coached with the Boston Celtics and the Dallas Mavericks and has recently worked as the Milwaukee Brewers Director of Spring Training Operations. Pete is a graduate of Conemaugh Valley High School and undisputedly the best baseball player to come out of Clarion University of Pennsylvania. He lettered and was selected AII-NAIA District 18 all four seasons. He was named to the All-PSAC team in 1972-1974 and was an AACBS and NAIA All-American in 1974. 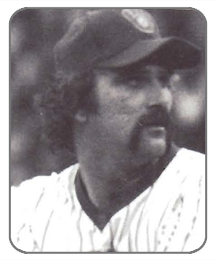 Pete was drafted by the Chicago White Sox in 1974 and spent time in the majors with the Toronto Blue Jays and the St. Louis Cardinals before being traded to the Milwaukee Brewers in 1981. He led the Brewers into the playoffs in 1981 and the World Series in 1982 when he was the American League Cy Young Award winner. From 1996-2000, Pete was the pitching coach for the Pittsburgh Pirates and is now a scout in their organization. He has been inducted into the Clarion University Sports Hall of Fame and the Cambria County War memorial Hall of Fame. 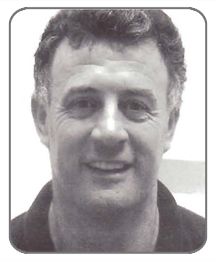 Please Note: The information on this page is, as it was posted in the program for the 2003 Annual Dinner.